In just 2 to 4 days, you can have a garage that not only looks great but one that will add aesthetic and financial value to your home. 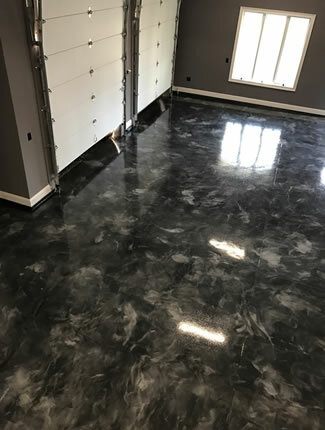 Garage Floor Coating of New Jersey uses the highest quality products that consist of proprietary-blends of 100% Solids Industrial Polymers. These industrial grade coatings not only protect the concrete from weathering, cracking, oil and other chemicals, but they are aesthetically pleasing and easy to clean and maintain. Many of the coating materials we use in our processes are low or zero VOC’s (Volatile Organic Compounds). Stage One – Each of our technicians is experienced in evaluating and preparing the concrete floor to meet our rigorous standards. 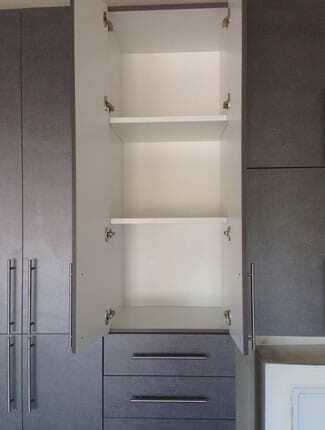 The first stage of our coating process is the most critical to a durable finish. It begins with our certified and experienced technicians preparing the concrete surface with a mechanical abrasion, diamond grinding, in conjunction with dust reducing equipment. 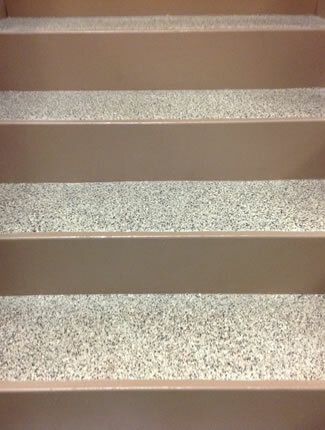 This step is required to achieve a porous and contaminant-free surface. We then perform any necessary crack, divot and joint repairs with an elastomeric sealer. Stage Two – The next stage involves applying a primer “bond” coat to the prepared concrete. 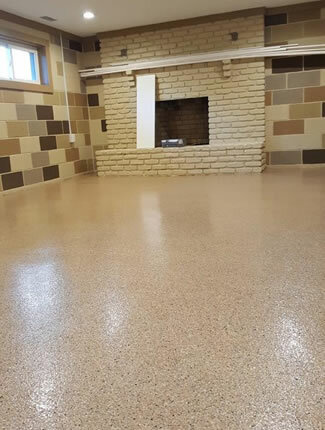 The material used is dependent on moisture readings taken at various stages of the prep process, creating a molecular bond with the concrete surface. Stage Three – Once the bond coat has cured sufficiently, our technicians apply a polymer color coat and broadcast decorative poly-vinyl chips to the wet color coat. This coating is left to fully dry overnight. 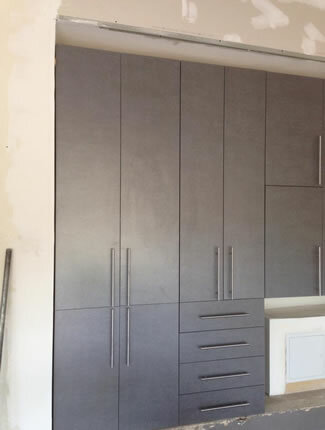 Stage Four – The following day, our technicians prepare the previous day’s coating for the subsequent clear coat(s) by sanding and/or scraping the chips to achieve the desired texture. Stage Five – They will follow this up with one or two clear Poly-Hybrid coats, depending on the coating system specified. Stage Six (If Applicable) – The surface is lightly sanded and an additional clear coat is applied. 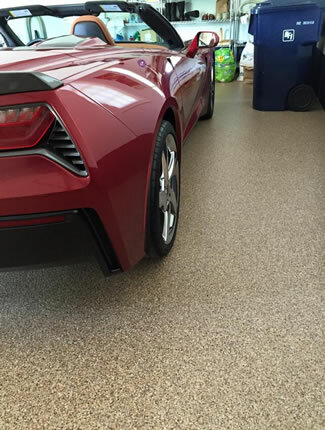 This completes the coating process and the surface can return to light service 24 hours later and heavier service including vehicular traffic 5-7 days after completion. Various types of anti-skid media can be applied at the customer’s request to achieve varying profiles. Maintenance –We recommend periodic cleaning of the coated surface as per manufacturers instructions.